-- Select a Size/Color -- Medium (18MM-3/4" Letter Strap) - Out of Stock! Large (18MM-3/4" Letter Strap) - Out of Stock! 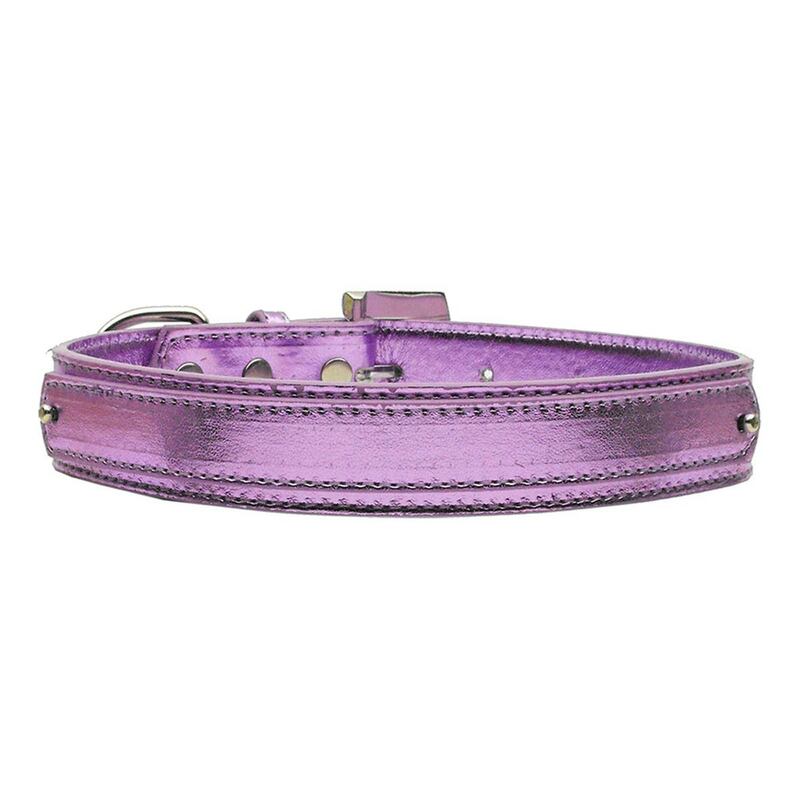 Add color and style to your four-legged friend's wardrobe with this beautiful metallic Purple dog collar that can be personalized! Now your bigger pup will feel like a big star with this eye-catching metallic purple dog collar with crystals embedded in the buckle. 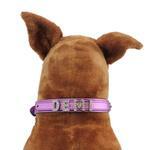 Your diva dog will feel splendid wearing this high-quality faux leather dog collar, especially when personalized! For shorter names, adding side charms like paws or our 18MM Aviator Heart Charms will add more impact to your pup's look. These gorgeous charms are available separately. Once you have your pup's personalized statement in place, simply snap the letter strap back over the heavy-duty hardware. The curve of your pet's neck will hold everything in place for a glamorous look that will have your dog greeting the "pawparazzi" in style! 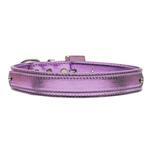 We love the beautiful shade of metallic purple of this dog collar. It's a great choice year round, but it is especially appropriate for fancy occasions including Valentine's Day, Easter, your dog's birthday, and any spring or summer party! I love this collar. The color is very nice and shimmery. 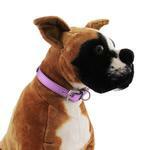 It is a little stiff but fits my boxer girl beautifully. The buckle is very nice too. I didn't get any letters for the strap and not sure they would work well as the strap does not stay tight to the collar. I always love BaxterBoo. Great product, fast shipping - what's not to like?